Here, I lay to rest. ***Yes, because it’s Halloween. And for whatever reason, kitsunes and werewolves are on my mind. I cannot believe how they used the character of Moo Seok! I’m trying to wait until I see the next episode to see if he somehow comes back to life, if Moo Seok does, but how they used him was so… anticlimactic…it was a HUGE disappointment. I could not contain myself! No, it’s not because I’m a Yunho bias. Hell, if you read my entries, I’m more likely to shoot him down than raise him up! But after the crying over his sister scene, Moo Seok had developed into a character easily relatable. I blame the writers of the drama. They did not think the whole story through. At the beginning, they tried to make Moo Seok into a learned soldier. That didn’t pan out. Then they showed incredible scenes of Moo Seok training himself, the raw power of the warrior evident in each frame. (Okay, it seemed like they were pandering to Jung Yunho’s fans, really.) But I have always praised the fight choreographers. 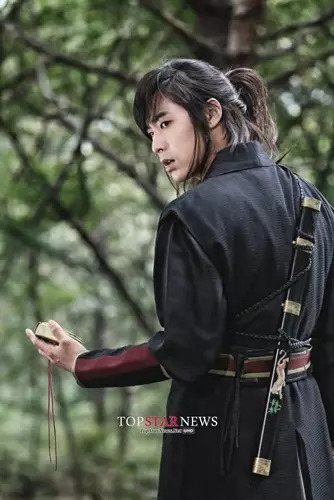 With all the build-up of Moo Seok being this warrior soldier loyal to the king, the writers didn’t even allow him to die a death worthy of one? I mean, he could have at least been given that chance to fight with someone! He just gave up, for the love of the king who betrayed him. Wow!!!!! Does that even make sense? Would a warrior really go down like that? If that was me, cold blooded as I was, my dagger or ninja stars would have found its mark on the head of Park Soo Jong. Then his henchman can kill me, but I would have eliminated one of the enemies of my lord king. THAT’s what a warrior does! Not effing give up and allow myself to be killed like so, for no other reason than because a stupid king ordered me. I’m a warrior, dammit! I will die fighting. Stupid writers!!!! They wasted the potential of THIS….. AAAAAARRRRRRGGGGGGGGHHHHHHHHHH!!!!!!!!!!! WAS THIS LOUD ENOUGH!!!!!????!!!!! 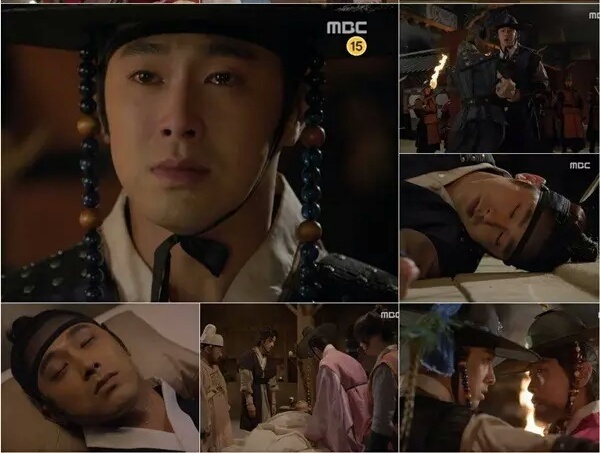 But, okay, I’ll give Jung Yunho credit for making the emotions come out of Moo Seok. To the end, he gave his best. Even though that first how many episodes made me doubt his ability to act AT ALL!!! He just looked like he had botox shots and so his face was… frozen. But these last scenes made up for that. Thank you for the enjoyable show, dude, but writers, seriously. You wasted a perfectly good character. I think you need to reevaluate your understanding of warriors. Because of what I know of them, they would not give up like that. That was a wasted death. WASTED!!!!! Casting Crowns – I am yours. The light of life is leaving me. A spooling thread far gone.